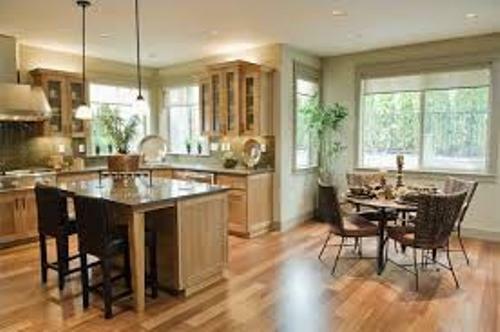 The first tips on how to arrange kitchen countertops is clearing all items from the countertop. You can place them inside the shelves, drawers or kitchen cabinet. To make you work freely when cooking food, the countertop should be clear and free. Don’t forget to clean the entire space to avoid any dirt, germ, debris and dust in this kitchen. You need to change the habit after you cook in the kitchen. 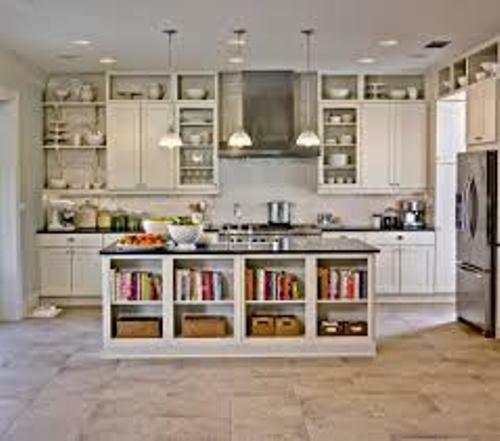 You need to make sure that all items that you use for the daily basis are placed inside the kitchen cabinet back. 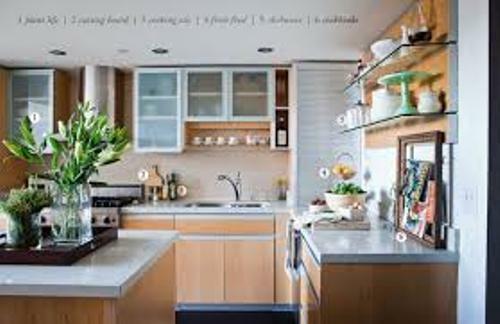 But there are some items that you can display on the kitchen countertop such as the blender, toaster, microwave and coffee machines. Those item are big and heavy. You always use them for the daily basis. There is no need to put them inside the kitchen cabinet for it will be ineffective. To make the kitchen functional, think about the light too. Get the ideas on how to arrange lighting in the kitchen here. Even though you can display some important items on the countertop, you need to leave 1 to 2 feet of free space. It is used when you want to prepare food. The coffeemaker can be placed near sink, while the microwave is neat the fridge. 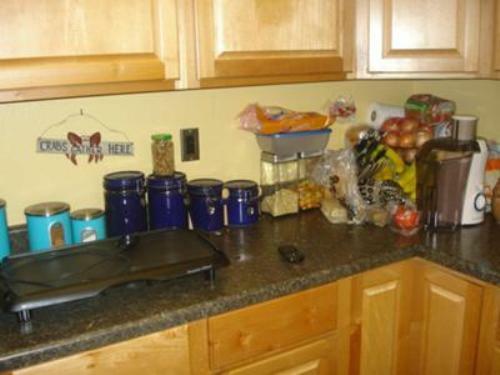 You can save time when you cook food if you can place the canisters and utensils near the working space area. When you need a certain utensil, you can reach it within hands. The kitchen countertop is often equipped with a sink. You can wash the dishes easily if you can place sponges, soap and dish washing liquid behind the sink area. The kitchen countertop will never look plain if you can place a basket of fruit here. It can carry functional and decorative effect. You can fill the basket with fresh oranges, bananas, pears, and apples. Do you want to give more guides how to arrange kitchen countertops?